Leveraging on the support of sound infrastructure, we are engaged in manufacturing and supplying a high class array of Brick Making Machines. Under the offered array, we have Manual Brick Making Machine, Automatic Brick Making Machine and Diesel Engine Brick Making Machine. The demand of offered machines are rising as these ensure reliable performance, have sturdy construction and require minimum maintenance. To ensure that our offered machines have listed below features, we manufacture these using optimum quality raw material with the assistance of experts. We are the leading manufacturers of Nano Sample Brick Machine with Motor. * Speed - 500 Bricks per hour. 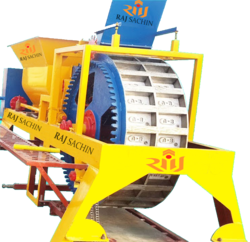 We have in store a high grade Double Production Clay Brick Machine, which is designed as per the evolving trends of the industry. 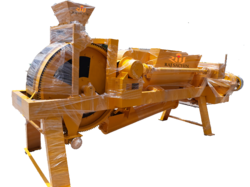 The offered clay brick machines include 4 pieces clay brick production in which these have a single drum running along with a gear box in which a chain is linked and a pedestal is attached to the machine to ensure the flow of production a run. Offered clay brick machines are capable of taking up the capacity of 2000-2400 numbers per hour. We are one of the highly acknowledged firms that offer an extensive range of Nano Brick Machines to fulfill the needs of our esteemed clients. These products are well equipped and offer high level of output without any hassles or hindrance. All these products are well known for their supreme performance, high quality, and smooth finishing. 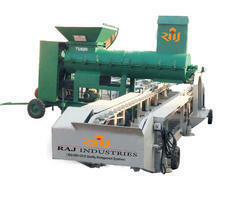 As per the requirements of the customers, we are involved in offering best quality Machine. Compact sized these machines are manufactured from optimum quality components and following international industrial standards. These machines are user friendly and acclaimed for their sturdiness and reliable performance. With fir commitment to quality, we are engaged in offering flawless Single Drum Clay Brick Machine. 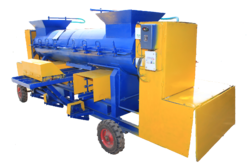 To manufacture these brick machines we make use of quality tested raw material, sourced from the most trusted vendors of the industry. 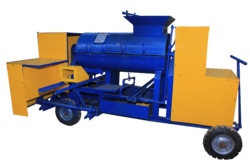 Further, while designing these brick machines our professionals stringently follow globally laid quality norms. For the satisfaction of patrons, we provide consultancy as well as turnkey plant of offered machines. 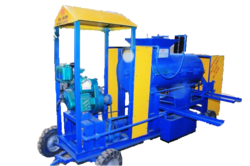 With our expertise in this domain, we are engaged in offering premium quality Diesel Engine Brick Making Machine, which is known for its sturdy construction, optimum performance and durability. 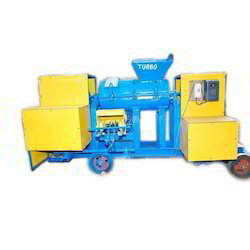 In addition to this, the offered machines have new design concept with compact single drum clay brick machine along with diesel engine (6.5 HP diesel engine). Moreover, offered machines have new design pusher systems with planetary energy efficient gearbox.